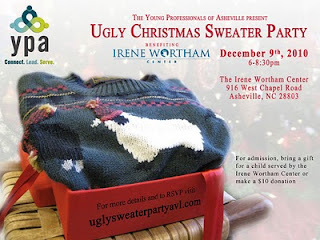 Tickets are now on sale for The Culinary AffAIR - Asheville's premier food event coming up February 3, 2011 at The Venue. For a sneak peek, check out this video slideshow produced by Stone Digital Media. The Culinary Affair from Stone Digital Media on Vimeo. Asheville, NC - Arvato Digital Services, in Weaverville, plans to invest $1.8 million in capital improvements to assist in the creation of 408 net new jobs over the next three years as it positions itself for future business opportunities. The firm, in conjunction with the Economic Development Coalition for Asheville-Buncombe County (EDC), announced that the Weaverville plant expansion will incorporate new customer care operations, one of several such operations throughout the U.S.
Arvato Digital Services is a replicator and distributor for intellectual property such as music, movies, software, and video games in CD and DVD formats. Its extensive client list includes leading firms in entertainment, music, and software industries. The organization has grown to dominate market share in its industry through its expertise and innovation of services. In recent years, Arvato and the former Sonopress merged to combine end-to end customer service operations, further diversifying its business. A division of Arvato AG, a global media and communication firm headquartered in Gutersloh, Germany, Arvato Digital Services serves 18 countries on five continents. The Weaverville plant, currently specializing in media replication and fulfillment, was established in 1984, and is among seven Arvato locations in the U.S. Arvato management’s decision to expand its growing call center operations will strengthen the future of Arvato in Western North Carolina. For more information on this expansion, visit Arvato’s website at www.arvatodigitalservices.com. Applications for employment will be collected online at recruiting@adisna.com , and also at the Homecoming Job Fair at Biltmore Square Mall on December 28. In January of 2010 the EPA announced they would set a stricter 8 Hour Ozone Standard. The Chamber became involved with Land of Sky Regional Council and worked to create a policy position that protected the people and businesses of Western North Carolina. The Chamber desired the stricter regulation to come from Congress, which is accountable to voting constituents instead of from the EPA. The Chamber has been monitoring the situation and waiting for the EPA to announce the new standard. Yesterday the EPA announced that it will once again delay the decision until July of 2011. You can see the Asheville Area Chamber of Commerce’s statement below and the EPA’s press release. The Asheville Area Chamber of Commerce recognizes that climate change is an important issue which must be addressed by Congress. We strongly support efforts by Congress to craft comprehensive environmental legislation which reduces greenhouse gas emissions and protects our economic competitiveness and quality of life. The Chamber appreciates the role the Environmental Protection Agency plays in protecting the American people, but we do not support the recent efforts of the EPA to move towards regulating greenhouse gas emissions under the Clean Air Act. We urge Congress to develop this important environmental protection legislation within the next two years to continue the system of checks and balances necessary for issues that impact jobs, our economy, and environment. The Chamber recognizes that members of Congress are held accountable to constituents for decisions on cost and impacts and federal agencies do not have the same accountability for economic consequences. Under Administrator Jackson's leadership, in January the Environmental Protection Agency proposed stricter standards for smog - standards that would help prevent up to 12,000 premature deaths, 58,000 cases of aggravated asthma and save up to $100 billion dollars in health costs. The proposed standard would replace an existing standard set during the previous Administration, which many - including the Agency's independent team of expert scientists known as Clean Air Science Advisory Committee (CASAC) - believed did not go far enough to protect public health. Administrator Jackson proposed that EPA select a standard in the range that CASAC indicated would be protective of Americans' health. As part of EPA's extensive review of the science, Administrator Jackson will ask CASAC for further interpretation of the epidemiological and clinical studies they used to make their recommendation. To ensure EPA's decision is grounded in the best science, EPA will review the input CASAC provides before the new standard is selected. Given this ongoing scientific review, a final standard - which will be in the range recommended by the CASAC - will be set by the end of July, 2011. In addition to this standard, EPA is moving forward with a number of national rules that will significantly reduce pollution and improve public health for all Americans. These include rules designed to reduce harmful emissions from cars, power plants and other industrial facilities that contribute to ozone formation. Taking additional time to complete the scientific review of the ozone standard will not delay the public health benefits of these rules. The revised collective bargaining mandate bill (S. 3911) that would have forced all states and local government to allow certain government employees to collectively bargain was REJECTED by the U.S. Senate yesterday (12/8). The cloture vote, allowing the bill to move forward for a full Senate floor vote FAILED by a vote of 55-43 (60 votes were needed) with U.S. Senator Kay Hagan (D) voting NO and U.S. Senator Richard Burr (R) voting NO. The Governmental Affairs Task Force of the Asheville Area Chamber of Commerce convened on November 30, 2010 to discuss tax reform in North Carolina and priorities for education legislation. Brian Balfour, a budget and tax policy analyst with the Civitas Institute in Raleigh made a presentation to the Task Force on the status of tax reform in North Carolina. In 2009 the North Carolina Senate created the 21st Century Tax Rate Reduction and Modernization Plan to examine options for reform. Tax reform has long been discussed for North Carolina due to declining revenues, which is largely due to the current tax structure relying heavily on the personal income tax. North Carolina currently has extremely high tax rates, which makes it hard for the state to be competitive in attracting business. The Tax Foundation’s 2011 State Business Tax Climate Rankings have North Carolina ranked 41 out of 50 (best is 1, worst is 50). The 21st Century Tax Reduction and Modernization Plan is complex but essentially calls for a lowering of the tax rate by expanding the base of taxable services. It is important to note that the leadership of the North Carolina General Assembly has said that tax reform will not be dealt with in the 2011 session. Instead the General Assembly will focus on balancing the state budget. The Asheville Area Chamber of Commerce will continue to monitor and watch this issue as it unfolds. Dr. Hank Dunn, President of A-B Tech; Allen Johnson, Superintendent of Asheville City Schools; and Dr. Tony Baldwin, Superintendent of Buncombe County Schools also joined the Task Force to present their legislative priorities to the Chamber. All three recognize the state budget deficit will have tremendous impacts on education in the Asheville area. They asked business leaders to recognize the long term impact a year of education funding cuts can have on business and providing the quality workforce they need. On the cutting block is Dual Enrollment, which is a partnership program with high schools and community colleges that allows high school students to enroll in college level classes. The educators would love to see this program funded as it provides access to college for many students who would never see a college classroom. This program also accelerates the entrance of a highly skilled workforce into area industries since students can complete their college education in a shorter time period. The educators also recognized they will face staffing cuts and said they are prepared to deal with the situation this will create. The Chamber will continue to advocate for the school systems in Western North Carolina, which train the workforce our businesses require. The next Governmental Affairs Task Force meeting will be on Tuesday, January 4, 2010 from noon until 1:30 pm at the Chamber of Commerce. If you are a member of the Chamber and have any interest in this group please contact Jeff Joyce at jjoyce@ashevillechamber.org. The Governmental Affairs Task Force of the Asheville Area Chamber of Commerce met Tuesday, November 16, 2010 from noon until 1:30 pm to discuss legislative priorities for the coming legislative session, develop relationships with new elected officials, and establish areas of focus for upcoming meetings. The Governmental Affairs Task Force had the opportunity to meet the Chamber’s new President & CEO Kit Cramer. Kit Cramer spoke to the group and explained her background and interest in public policy. This interest stemmed from her time with the Charlotte Chamber of Commerce and her service in public office on the Charlotte Mecklenburg School Board. Representative-Elect Chuck McGrady of House District 117 also joined the group. Representative McGrady spoke of his desire to work on transportation and regional issues when the North Carolina General Assembly starts session on January 26, 2010. Representative McGrady told of his broad range of experience as he is a lawyer, county commissioner, and has served as the head of the Technical Advisory Committee for the French Broad Metropolitan Planning Organization. The Chamber is pleased to have Representative McGrady serving the people of Western North Carolina and looks forward to working with him. The Chamber recognizes that the projected budget deficit for North Carolina will have a huge affect on the coming legislative session. It is for this reason that the Chamber desires to be precise and hard hitting with the legislative agenda. Laura Copeland, Vice President of Public Policy and Workforce Development, told task force members that the Chamber will make the position statements as focused as possible. The Governmental Task Force will reconvene on Tuesday, November 30, 2010 to discuss education and tax reform issues. If you have interest in the taskforce or would like to attend a meeting, please contact Jeff Joyce at jjoyce@ashevillechamber.org. 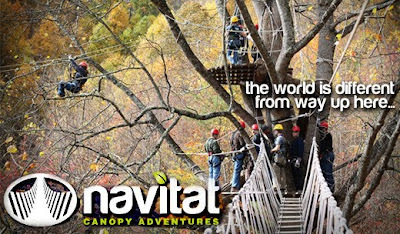 BARNARDSVILLE, N.C. – NAVITAT CANOPY ADVENTURES, a world-class zip line canopy tour near Asheville, is marking the end of a successful first season this month with special tour price discounts. The “Season-End Celebration” entitles guests to a 20-percent discount off tour prices through Nov. 24. Navitat closes for the season on Nov. 30. Navitat resumes operations on April 1, with enhanced interpretive educational programming. 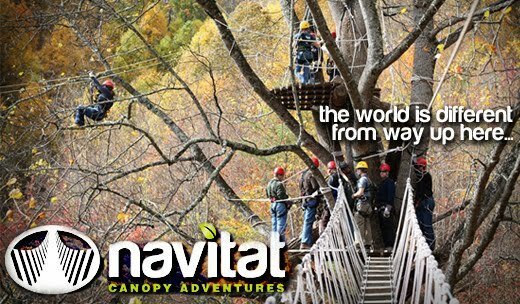 NAVITAT CANOPY ADVENTURES showcases the breathtaking natural beauty of a 242-acre serene mountain cove, located just 20 minutes north of downtown Asheville. The canopy tour course is entirely tree-based and features two sky bridges, two rappels, and 10 zip lines ranging from 120 to 1,100 feet in length -- including one that sends guests soaring more than 200 feet above the forest floor. Tours depart daily beginning at 7 a.m., through Nov. 30 (except Thanksgiving Day). Reservations are required. Regular tour price is $85 per person for adults, and $75 per person for children. Weight restrictions apply. Visit http://www.navitat.com/ or call (828) 626-3700 to book your tour. 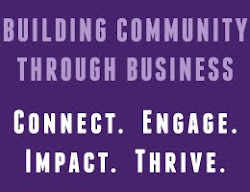 The Asheville Area Chamber of Commerce strives to represent our member businesses on a local, state, and federal level. The best way to facilitate this work is through the relationships we develop and foster with our elected officials. While Election Day did not bring a great deal of change to the region’s Federal representatives, it did cause a great deal of change on the state level. The Chamber identifies the North Carolina General Assembly members representing the Asheville Area as the Western North Carolina Delegation. This group includes representatives from Senate Districts 47 (Avery, Haywood, Madison, McDowell, Mitchell, Yancey), 48 (Buncombe, Henderson, Polk), 49 (Buncombe), and 50 (Cherokee, Clay, Graham, Haywood, Jackson, Macon, Swain, Transylvania). It also includes House Districts 113 (Henderson, Polk, Transylvania), 114 (Buncombe), 115 (Buncombe), 116 (Buncombe), 117 (Henderson), and 118 (Haywood, Madison, Yancey). These Senate and House races saw the majority of incumbents retaining their seats in Raleigh. This includes District 48’s Senator Tom Apodaca and District 49’s Senator Martin Nesbitt. In the House races we have District 113’s Representative David Guice, District 114’s Representative Susan Fisher, District 115’s Representative Patsy Keever, and District 118’s Representative Ray Rapp. For the new members in the General Assembly the Chamber will work hard to build relationships and work to represent the needs of the business community. This will begin with Senate District 47’s Senator Elect Ralph Hise and Senate District 50’s Senator Elect Jim Davis. In the House the Chamber will continue to build relationships with House District 116’s Representative Elect Tim Moffitt and District 117’s Representative Elect Chuck McGrady. This will begin immediately as Representative Elect McGrady will join the Chamber’s Governmental Affairs Task Force on November 16, 2010 to discuss his priorities for the session. The Chamber will also be hosting the Legislative Luncheon in January before the start of the General Assembly’s Long Session to provide member’s an opportunity to discuss priorities with the Western North Carolina Delegation. We encourage you to watch the Chamber’s weekly ENews letter to know dates and the location of these events. Canvas: Paint and Mingle is a fun, step-by-step painting class where adults and kids can walk out with their own fabulous artwork - no skills required. Grand opening is in West Asheville this coming Tuesday, November 2. Canvas: Paint & Mingle to open in West Asheville on November 2, 2010. Now you can paint your own masterpiece and mingle with friends in super fun, instructor-led art classes in West Asheville. Owned by Anna Blair Publow and her husband Andrew, Canvas offers you the chance to explore you artsy side through two-hour, step-by-step paint classes. The schedule will always change but Canvas will offer evening classes for adults 7pm to 9pm during the week, classes for kids on the weekends and occasionally classes for adults weekday afternoons depending on demand. Located in the heart of West Asheville at 735-C Haywood Rd. near West End Bakery, Westville Pub and the West Village Market and Deli, Canvas provides the supplies and asks you to BYOB and snacks. 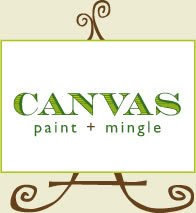 Canvas will hold its first class on November 2 so you can register now at www.paintandmingle.com or call 254.4486. “We are planning on hosting several classes benefiting local charities in the next few months including one for Arts For Life on November 9 and one for Meals On Wheels on December 3,” says Publow. “It will be a great way to celebrate our opening and to give back to the community.” Canvas is also available for private parties for birthdays, girls’ night out, bridal and baby showers and holidays. "Painting skills are not required but the desire to have a good time is!" says Publow. For more information about Canvas go to www.paintandmingle.com, and follow them on Facebook and Twitter account (@paintandmingle), or call 828.254.4486. About Canvas: Canvas is a fun and relaxing, 2-hour, step-by-step painting class that gives adults and children the chance to create their own masterpiece in a social setting. Canvas is located in West Asheville at 735-C Haywood Rd. The schedule will change weekly but there will be evening classes for adults 7 p.m. to 9 p.m. during the week, classes for kids on the weekends and occasionally classes for adults weekday afternoons depending on demand. Supplies are included but it is BYOB and snacks. Register today at www.paintandmingle.com. For more information about Canvas, please contact Anna Blair Publow at 828.254.4486. U.S. Housing and Urban Development (HUD) Field Office Director Chris Stearns announced the award of a $1,600,000 HUD Sustainable Communities Regional Planning Grant to the Land-of-Sky Regional Council today at the Biltmore Doubletree Hotel in Asheville. This “first-ever” award from HUD is part of an overall $3.2 million awarded to two North Carolina organizations -- the Land of Sky Regional Council (LOSRC) and the Piedmont Authority for Regional Transportation (PART). 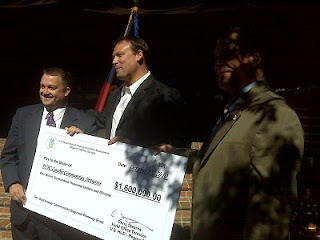 Congressman Heath Shuler spoke at the press conference thanking the Asheville Chamber for their leadership in the community and help in securing the grant. Joe McKinney, head of the Land-of-Sky Regional Council, also thanked the Asheville Chamber for their help with the project. Mr. Stearns congratulated the Land-of-Sky Regional Council on their award that will fund the development of a regional plan for sustainable development. The plan will launch an unprecedented community outreach efforts, including the Asheville Area Chamber of Commerce, to reach the Region’s diverse, but interrelated rural and urban Appalachian communities. To develop the regional plan, Consortium partners will involve participation from populations that are traditionally left out of regional planning processes (including, but not limited to, rural mountain landowners, farmers, urban minority populations, small business owners, seasonal second homeowners, health care providers) to solicit their input and commitment to the planning process and the final plan. The Chamber will continue to work with Land-of-Sky over the next several years to see this plan come to fruition. Those who attended last night's Business After Hours know one thing -- Clear Channel Asheville knows how to show Asheville's business community a good time! Guests enjoyed food from local restaurants including Posana Cafe, Fiores, TallGary's Pub, Fiddlin' Pig, Gianni Panini, Cold Stone Creamery, beer from our friends at Budweiser of Asheville, and wine from Ashevilla Wines. The great company and magnificent mountain views, combined with an amazing line-up of door prizes made the evening one to remember. 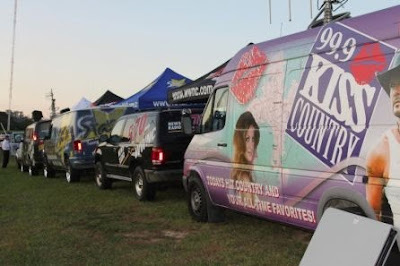 Just a few of Clear Channel's giveaway highlights include a $2,500 advertising package, coveted Elton John tickets, Charlotte Panthers tickets, University of Tennessee football tickets, a golf package at High Vista Country Club, Biltmore tickets and The Grove Park Inn Resort & Spa dining tickets. 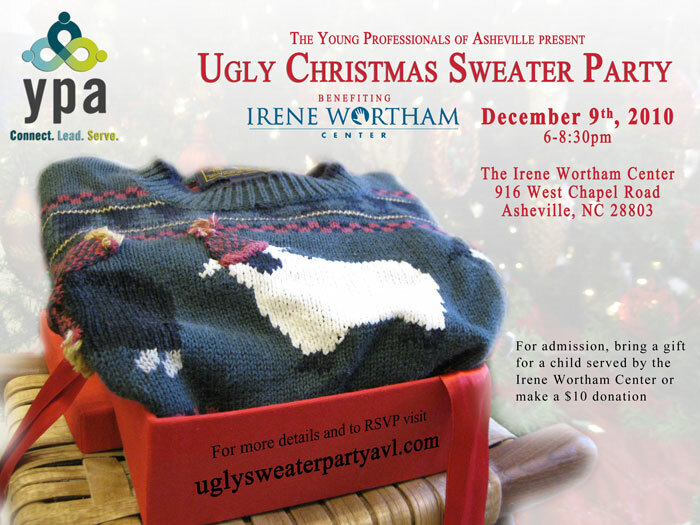 Thank you to Clear Channel Asheville for hosting such a fun evening. Don't miss our next Business Before Hours at Biltmore Baptist Church on October 19 and Business After Hours at Sisters of Mercy South Asheville on November 4. Check out images from the evening by clicking on this slide show. The Asheville Area Chamber of Commerce is delighted to announce the selection of its new President & CEO as Kit Cramer, current President of the International Downtown Association (IDA) in Washington, DC. Cramer will bring a wealth of experience to Asheville, as she was employed for 17 years in a variety of management positions with the Charlotte Chamber of Commerce, served as chief public information officer for two large school systems and is a former elected official. Cramer will assume her new role at the Chamber on November 15, replacing Rick Lutovsky who is retiring after 10 years as Chamber President & CEO. Join us in welcoming Kit Cramer and thanking Rick Lutovsky. Asheville, North Carolina—The Asheville Area Chamber of Commerce is pleased to announce the selection of its new President & CEO as Kit Cramer, current president of the International Downtown Association (IDA) in Washington, DC. Alice io Oglesby, chair of the Chamber Board and president of io design and illustration, inc., reported that the Chamber’s Board of Directors approved the recommendation of the Search Committee to hire Kit Cramer at its called meeting on October 6. Cramer will begin work on November 15, replacing Rick Lutovsky who is retiring after 10 years at the head of the organization. Cramer’s current organization, IDA, is a 650-member association with the mission of being a guiding force in creating healthy and dynamic city centers that anchor the well-being of towns, cities and regions throughout the world. Prior to leading IDA, Cramer worked for the Charlotte Chamber of Commerce for 17 years in various management capacities, including as executive director of Member Services where she worked with the Chamber’s seven area chapters. As a Vice President in the Economic Development division, she worked as a recruiter for new business as well as an advocate for existing businesses. As group Vice President for Education, she worked on education public policy and workforce development initiatives. Prior to her tenure at the Charlotte Chamber, she served as public information officer for two school systems. She also worked as a downtown manager early in her career. While working in education public policy, Cramer also served as Vice-Chair of the Charlotte-Mecklenburg Board of Education for three years. A graduate of the University of Florida with a degree in Journalism & PR, Cramer is a native of Jacksonville, Florida. 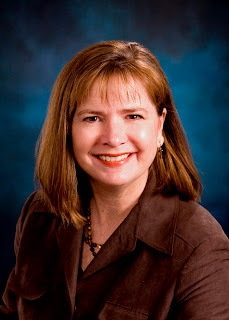 She has received the Certified Chamber Executive designation from the Association of Chambers of Commerce Executives. She has been married to her husband, Mark, for 27 years. They have two grown children, Kathryn and Mac, who live in Charlotte. The Chamber’s Search Committee was comprised of Oglesby, Immediate Past Chair Mike Willett of BB&T, First Vice Chair LaVoy Spooner of AT&T and former Chair Peter Alberice of Camille-Alberice Architects. Susie Jernigan of Sockwell Partners managed the process.